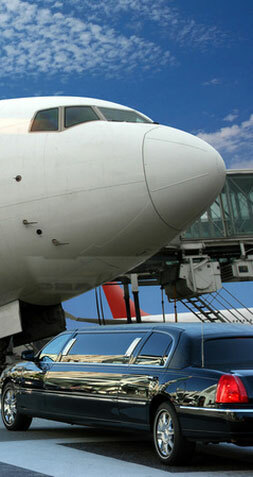 Leeds Limo Hire Service specialises in Airport Limousine Hire. Click here to call Leeds Limousine Hire. Let us make it our job to ensure that your arrival and or departure is perfect, from the beginning of your trip right to the very end. Whether it is starting your holiday in style, setting you off on your worldwide travels in luxury, or surprising that special someone with a grand romantic gesture and treating them to a 5 star Leeds Bradford Airport Limo Transfer experience home in our beautiful limos. What can you expect from Leeds Limo Hire? 1. Airport Transportation needs. We can deal with all of your transportation needs not only from your local Leeds and Bradford airport, which is only 8 miles from the city centre but from many of the surrounding airports to such as, robin hood airport (55 miles from Leeds) Manchester airport (60 miles from Leeds) and Durham tees valley airport (70 miles from Leeds. 2. Convenience and Punctuality. Our dependable and professional drivers check all routes and possible traffic delays beforehand making sure you arrive on time for your flight . for that extra little touch of class, our chauffeurs will be waiting for you in a stylish top hat, modern name board and a stunning limo for that final part of your experience that you will never forget. ​3. Modern Fleet. All Our modern fleet of Limos provide you with the ultimate bliss and reliability for the most discerning corporate client and customers. You really don’t have to be a celebrity to be treated like one, at Leeds limos that’s how we make you feel every second you are with us. 4. Luggage. No need to worry about that, that’s our job. 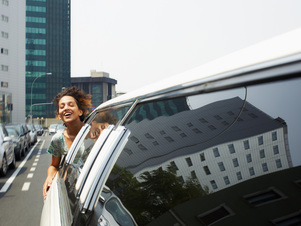 Our chauffeurs will handle all your luggage with care, meaning all you have to do is step into our stunning carriages, taking the weight off your shoulders to enjoy and relax. It doesn’t matter what date or time you would like to book your Airport Limo Hire for, just simply complete the form to the upper right-hand side of this page for a ‘No Hassle Guaranteed’ FREE quote. Airport Service Limo Hire Leeds offers, comfort, guarantees style and luxury all at an affordable price. Or give us a call on 0113 320 3616 and let us help you book your perfect package today.